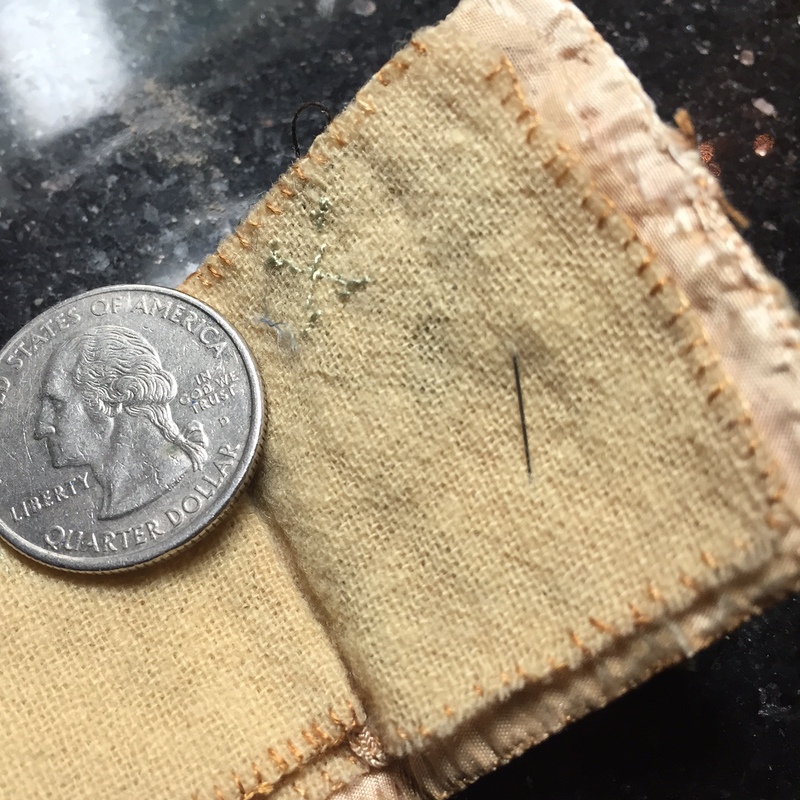 1. one complete movement of a threaded needle through a fabric or material such as to leave behind it a single loop or portion of thread, as in sewing, embroidery, or the surgical closing of wounds. If I may, I’d like to start with definition one. One complete movement [of a threaded needle]. There are so many definitions of stitch, including a pain in your side. It can be a verb, or a noun. You can be “in stitches” (convulsed with laughter). The original Old English relates to a stab or a thrust – verging on violence. 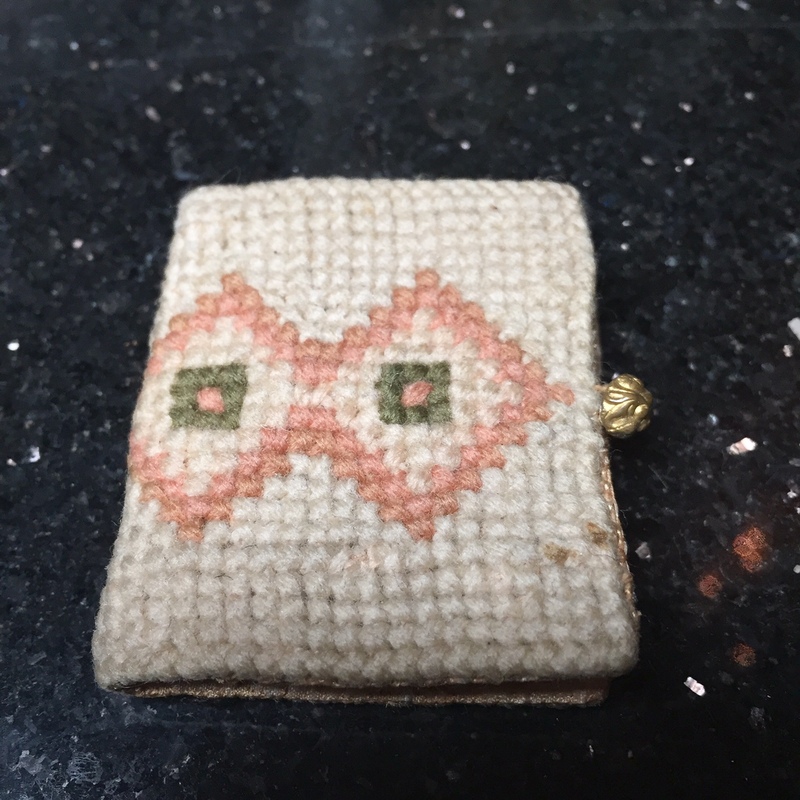 I’m finding myself captivated by the detail of it being a sense of a complete movement – although one stitch alone rarely suffices to mend or create anything. The closing of wounds. Aside from the literal concept of wounds (as in skin breakage and all of that) – how interesting is it that we both stitch our fabrics and our skin together? There aren’t different words, in English, to separate the concepts of joining flesh and joining cloth. 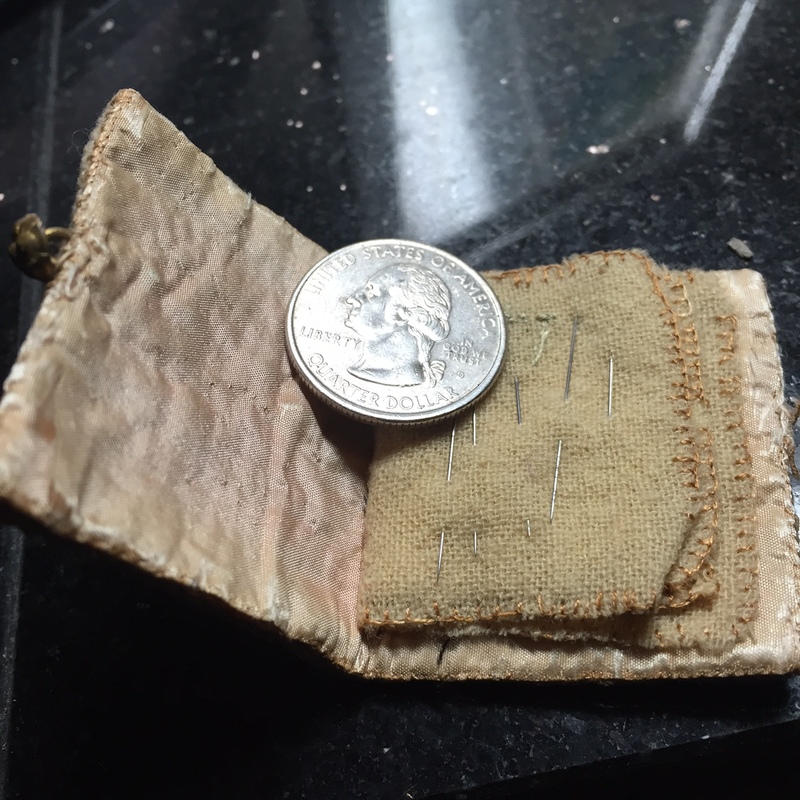 Suture tends to be the technical term, but going back to Latin, it means a seam, to sew. When things rip, we mend them. When our hearts break, we also refer to the healing process as mending. 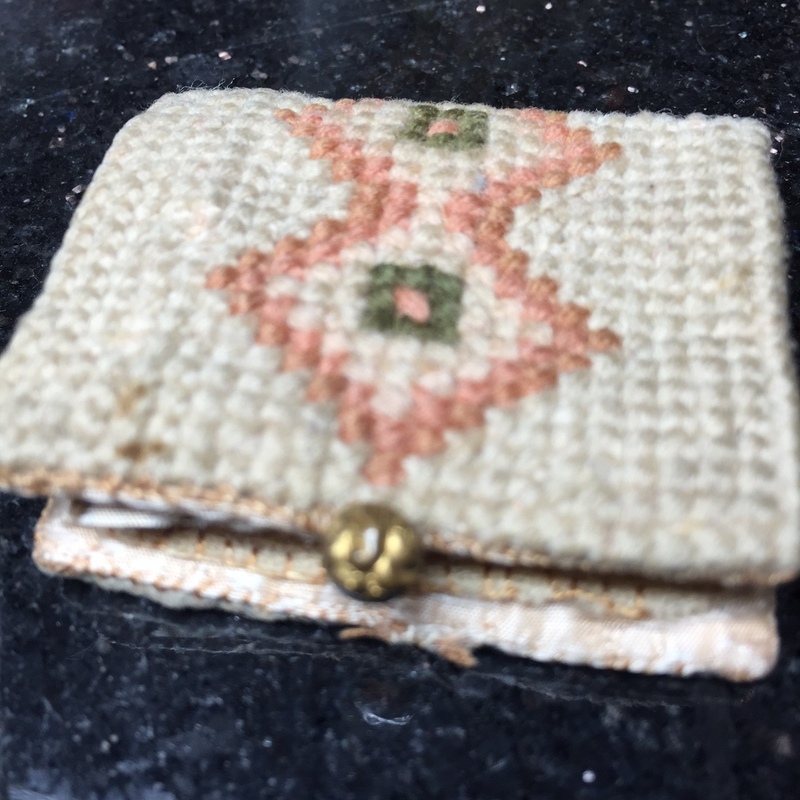 Mending can repair, it can improve things [her health was on the mend], and for textiles it involves stitches. If you haven’t already guessed, knitting, sewing … stitching…. for me tends to be a healing process. Something I do almost as a meditation, something that I focus on and that is a time for me to just sit and think. I tend to sew without music, I prefer to do it without distractions. It’s healing for me, and is often a time for me to work through my thoughts. Conversely, when I’m disturbed or upset, it’s very hard for me to concentrate and do work that I find pleasing. My recent struggles with creativity have something to do with that – not enough peace to go to the place where I need to be to mend things. And yes, I was the kid who read the dictionary. Is perfection something you strive for? Have you ever asked yourself why? 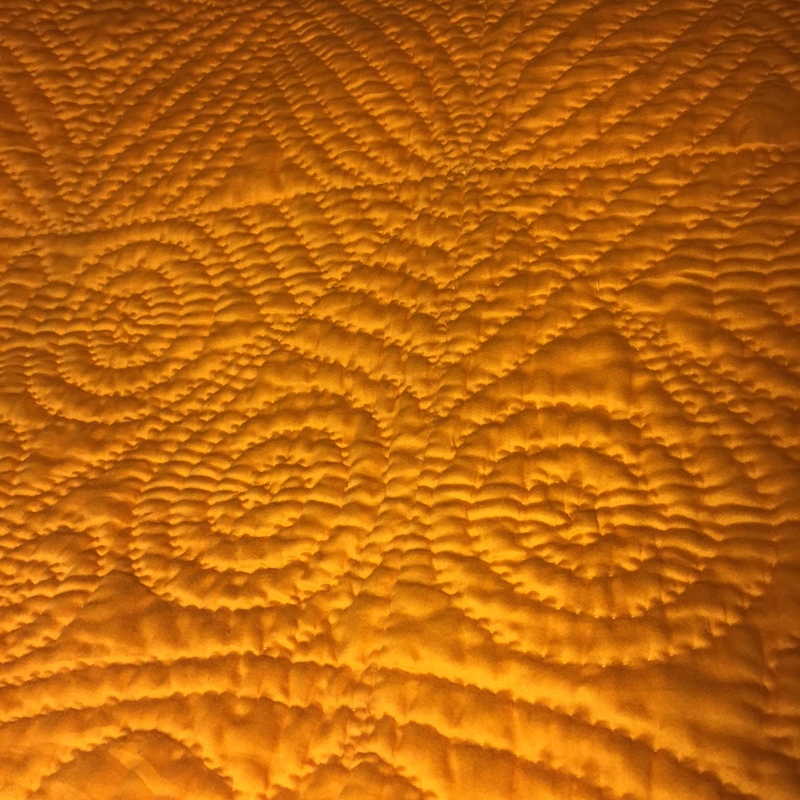 Welsh quilts, antique Welsh quilts, were the single thing that cured me (yes, I’m being biased) of my striving for perfection. 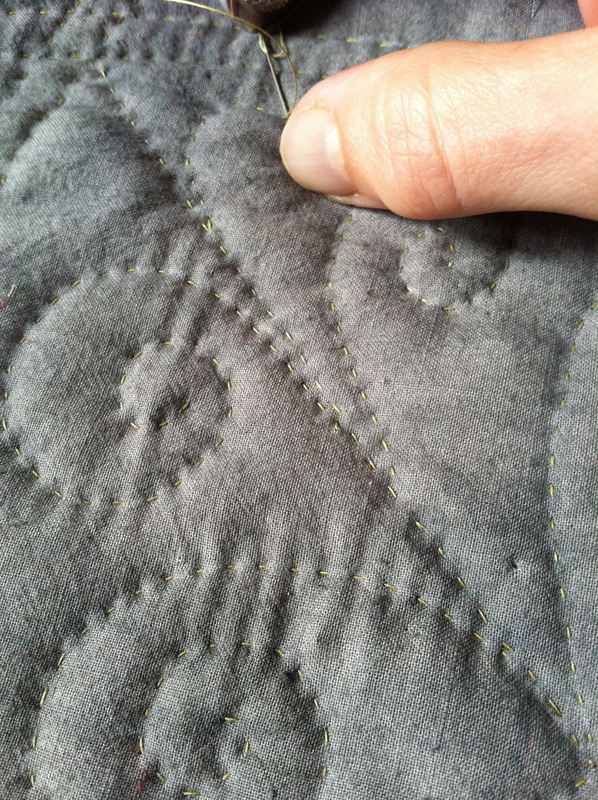 In my hand quilting, in my fiber endeavors in general. These days, I think most of us are familiar with the concept of wabi sabi – acceptance of transience and imperfection. But it took me years of battling with myself to figure out that “perfection” – perfect stitches, perfect symmetry – weren’t what I liked at all. 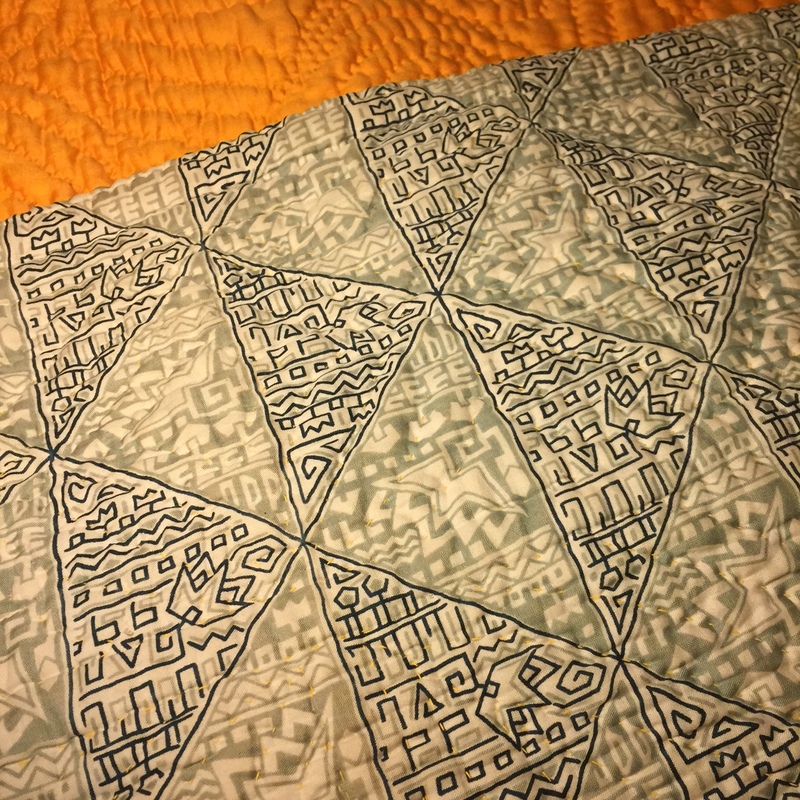 This is one of the old Welsh quilts in my collection. Early to mid 20th century, cotton sateen in a solid cheddar color on the front. The back is a kind of funky print, which nearly obscures the quilting when turned to the wrong side. The quilt is thick, heavy. Nearly pristine, actually. But nowhere near a work of art … or perfection. I love it, though, for it’s joyous use of color and it’s presence. It’s simple, really. Lots of spirals and double lines – nothing fancy. Nothing “original.” But the overall effect is stunning. Have you ever spent a winter in an unheated home? I haven’t spent one in Wales – I can’t even imagine! – but I have spent a couple in India. I love the mesh, the marriage, of warmth and beauty that this quilt represents. 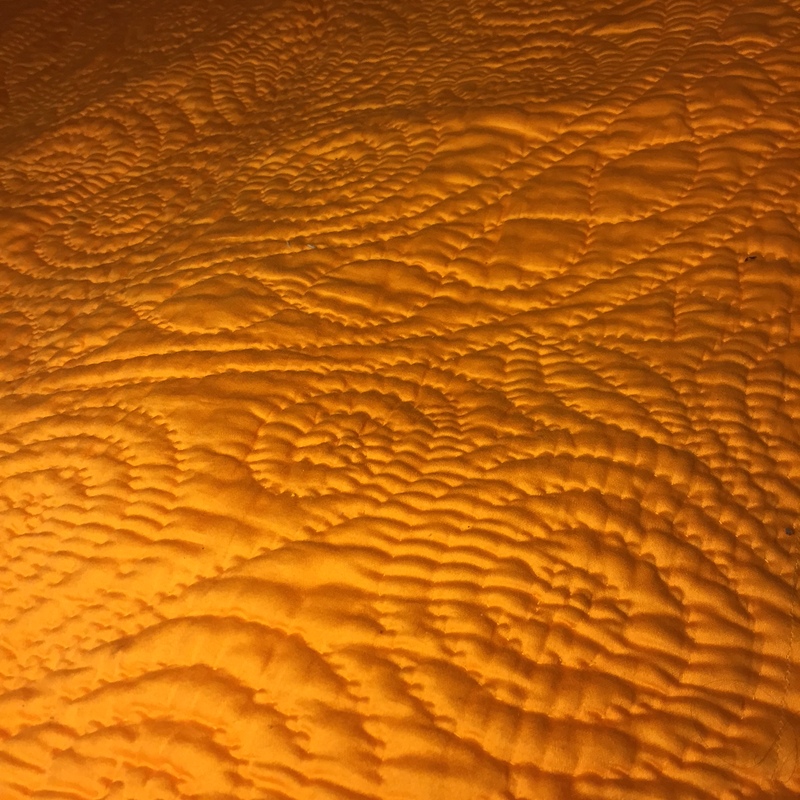 Utilitarian, yes – it’s at least 3x thicker than most commercial quilt battings. But just for keeping warm, it could have been far simpler – more basic designs. A bunch of straight or diagonal lines. 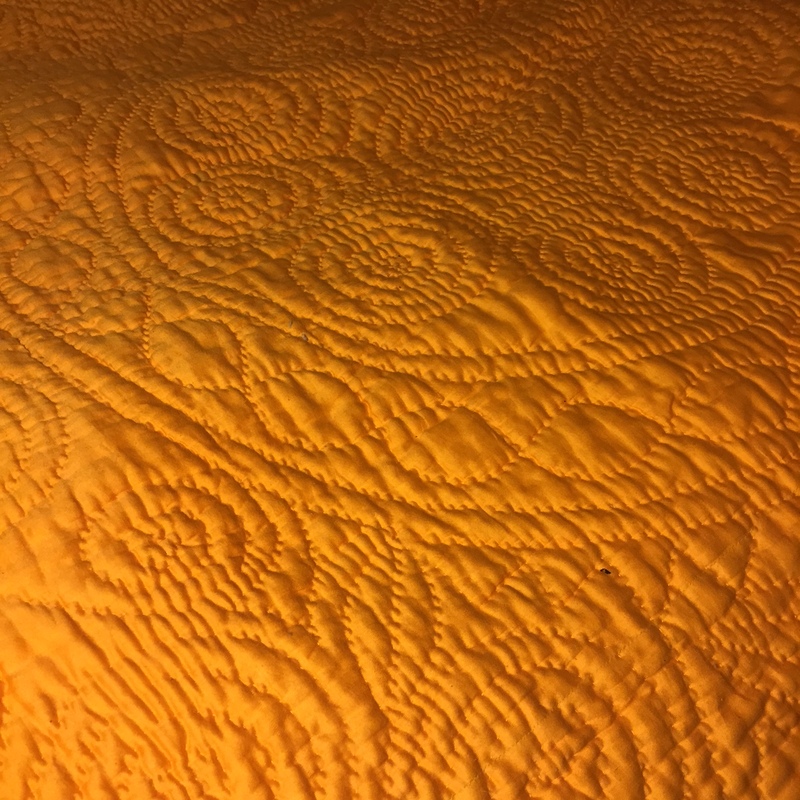 It follows a pretty classic formula for a medallion quilt: a central circular design, filler areas, and borders. But it’s a lot more, taken as a whole. Less than perfect, perfectly warm. Beauty, utility … irregularity, imperfection. I’m taking a head-first dive back into blogging, after a very long absence. And my thoughts are probably a bit scattered – I’m way out of practice with writing like this. But I’d like to -I hope to – convey my appreciation for the beauty in simplicity, in utility. The cumulative effect that sincere effort has on a finished object. Not perfect stitches, not symmetry. Taken as a whole, some things mean so much more than their imperfect parts.